Top 5 Tourist Spots in Mindanao, Philippines -- and Yes, These Are Safe to Visit! Mindanao, located at the southernmost part of the Philippines, has a lot of nice tourist-friendly places to visit that are very suitable for relaxation. All of them are definitely worth one's time and money, especially for all those who are thrill-seekers by heart! 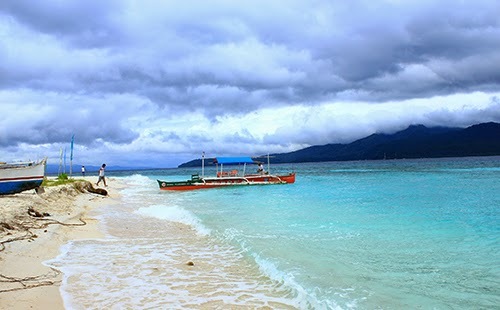 #1 - Mantigue Island (Camiguin, Mindanao, Philippines): It’s a fun time in Mantigue Island (pictured above), also known as Magsaysay Island, lavished with 4 hectares of green land, as well as crystal clear water at its white beach of powdery coral sand. Local and foreign tourists who set foot in Mantigue Island wish no one ever finds out about this hidden paradise where snorkeling, grilled blue marlin for lunch, and the helpful people are the BEST! #2 - Dako Island (Siargao Island, Surigao del Norte, Mindanao, Philippines): Dako Island, located in the tear-shaped Island of Siargao, which is the Surfing Capital of the Philippines, boasts of its great refreshing coconut (buco) juice, cool and clear blue water, powdery white sand and the promise of a safe, relaxing overnight stay at one of their cottages, for a romantic mood –with only the moon serving as your night light. Superb natural setting! #3 - Tinago Falls (Iligan, Lanao del Norte, Mindanao, Philippines): Tinago Falls is one of the main tourist attractions in Iligan, the city in southern Mindanao, known also as the City of Majestic Waterfalls, according to Wikipedia. You will feel like you have stepped into Heaven, once you get there, as you gaze at this breath-taking waterfall, which can be reached after walking some distance. The water falls from such a high level, and you get to see it in action as you watch from behind it in a cave beneath, while it drops down into a blue lagoon or basin-like pool of fresh, clear and cool water. Wow! #4 - Tinuy-an Falls (Bislig, Surigao del Sur, Mindanao, Philippines): Bislig, also known as, Booming City by the Bay, features Tinuy-an Falls as its main tourist attraction. Totally attractive at 95 meters wide and 55 meters high, Tinuy-an Falls is also called the Niagara Falls of the Philippines. Isn’t that awesome? Take pictures, bamboo raft, have a picnic, eat fresh seafood and have a dip into its sparkling water. All these fun in the summer sun! Simply amazing! #5 - Eden Nature Park (Davao City, Mindanao, Philippines): Eden Nature Park is a 95% man-made mountain resort, located at 3,000 feet above sea level. Home to about over 100,000 pine trees spread all over its 80 hectares, Eden Nature Park offers a wide array of fun family activities in a very cool temperature. Enjoy the park’s buffet, sky cycling, zip lining, day tour, and fishing – just to name a few of the highlights of your Eden Nature Park getaway. You will never regret making lots of excellent memories here at Eden Nature Park with your loved ones. Promise!